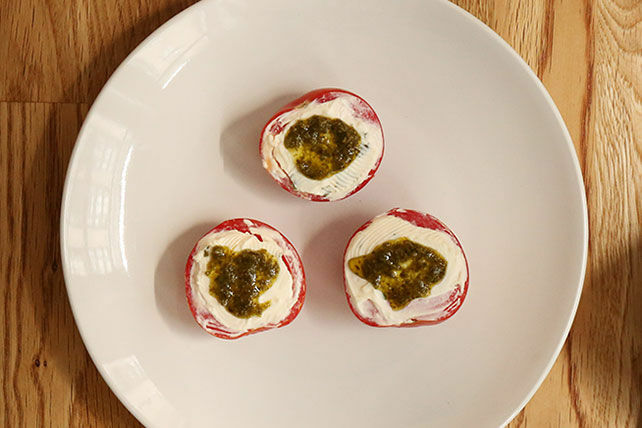 Top off a few cherry tomato halves with savoury cream cheese and basil pesto - a simple snack made in minutes! Spread tomatoes with cream cheese product. Prepare using Philadelphia Herb & Garlic Cream Cheese Product.